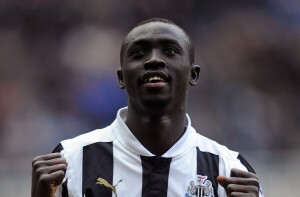 Interesting transfer news are out claiming that Borussia Dortmund are preparing a bid for Newcastle United striker Papiss Cisse. The Mirror revealed that Champions League finalists Dortmund are expected to lose their star striker Robert Lewandowski, who is set to join fierce rivals Bayern Munich but has also been linked with Manchester United and Chelsea, this summer. That has left Dortmund desperate for new options in attack and the prolific Senegal international is one possible target this summer.